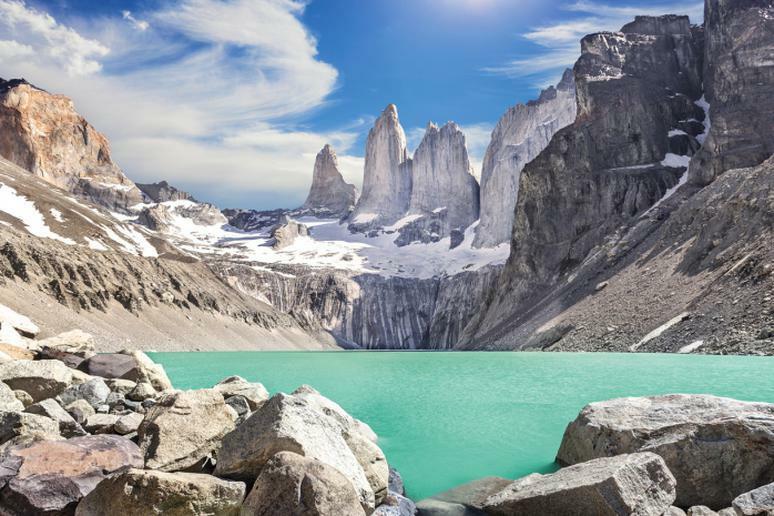 If you’re ready to embark on a once-in-a-lifetime experience, get your pen and paper ready, because your 2019 travel list is about to begin. With a new year comes new beginnings; it’s time to knock some of those incredible things you have always wanted to do off your bucket list. Are you looking for adventure opportunities? Visit the Andaman Islands for spectacular snorkeling, Croatia for scenic bike tours, Iceland for dogsledding under the northern lights, the Accursed Mountains in Albania for hiking and Maasai Mara for a wide range of safaris. 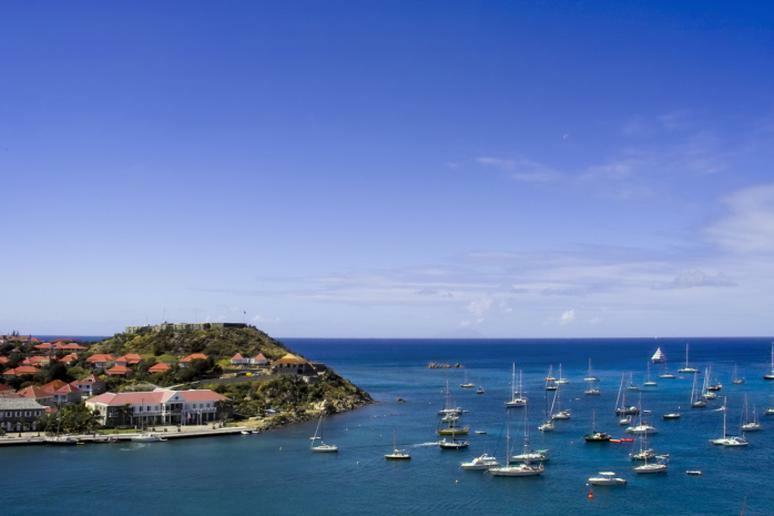 Those of you interested in a relaxing vacation destination should look no further than Anguilla’s spectacular beaches, Bali’s gorgeous waterfalls, a yacht trip in St. Barth’s and wine tasting in Napa Valley. 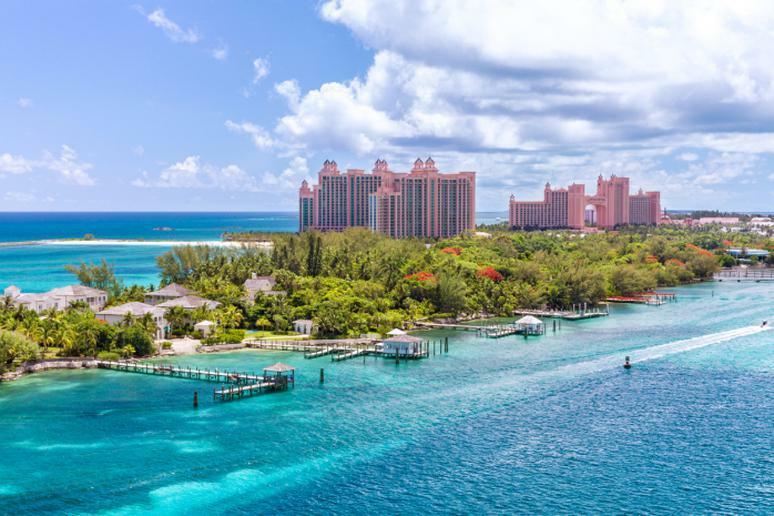 From Caribbean islands to spectacular jungles and historical sites, you will find everything you’re looking for on this list of the best places to vacation in 2019. 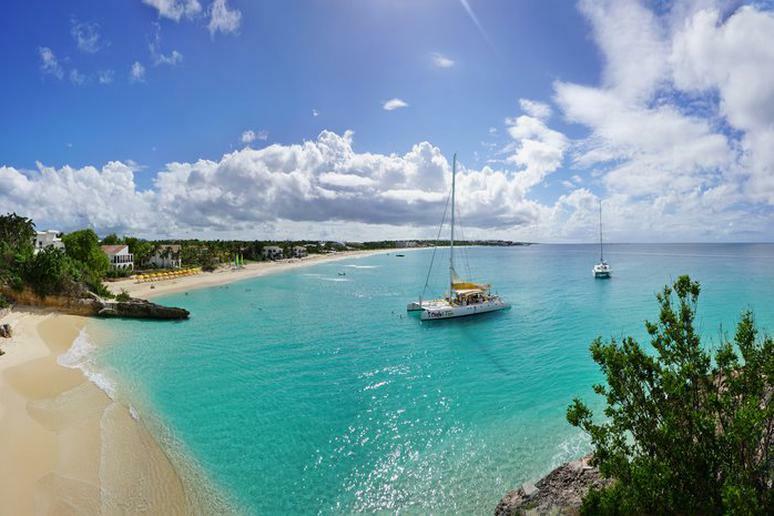 The ultimate paradise, Anguilla is known for its spectacular beaches, cheap prices and delicious street food. It is both a romantic honeymoon destination and a fun getaway for families. With 7 miles of beaches, there is no shortage of things to do. Spend the day dolphin and whale watching or go on a glass-bottom boat tour. At night, grab a drink in the Sandy Ground or Elvis’s Beach Bar or get dressed up and enjoy a formal night eating sushi and drinking cocktails at Viceroy’s Sunset Lounge. 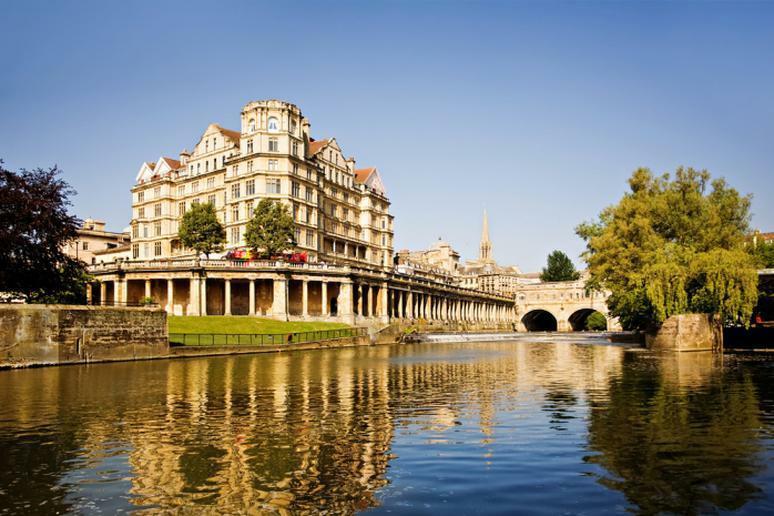 Bath is known as the top destination for wellness in the United Kingdom. Its natural thermal waters and spas are what attract visitors. The Thermae Bath Spa is a popular destination. There you can enjoy an open-air rooftop pool, Minerva bath, aroma steam rooms, spa treatments and restaurants. The spectacular baths here are fed by warm, mineral-rich waters. 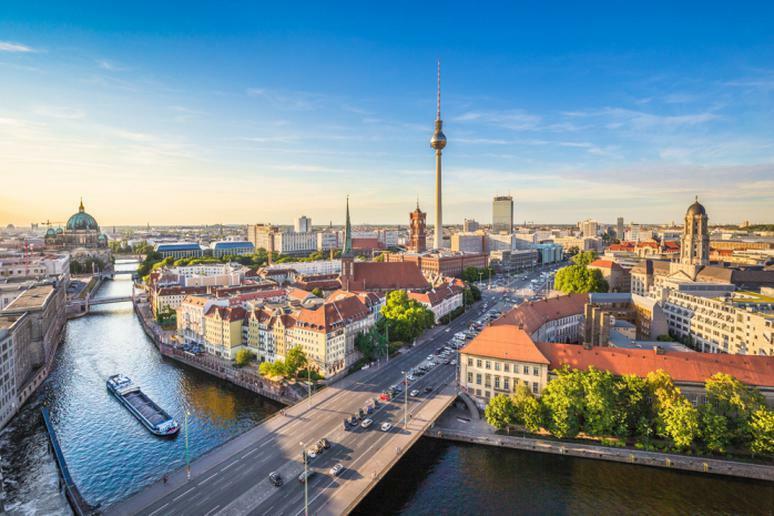 One of Europe’s largest cities, Berlin is a vibrant, progressive metropolis with plenty of history on display. Travelers can visit the Bundestag parliament building and the Brandenburg Gate, where President Ronald Reagan famously demanded that his Soviet counterpart tear down the Berlin Wall. The once-divided city is rapidly healing its Cold War scars — East Berlin’s arts scene burgeoned after reunification, adding even more energy to one of Europe’s creative and nightlife capitals. 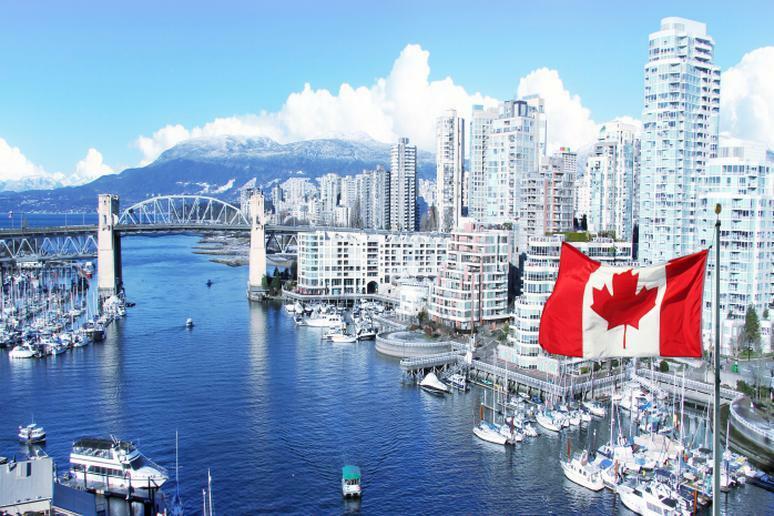 If you are wondering where to take your next vacation, consider Canada as your destination. It’s the perfect year-round getaway. Incredible wildlife, mountains, and summer and winter sports are just some of the many things you have to look forward to. Attend famous festivals, eat delicious foods, hike incredible mountains, visit Banff National Park, go skiing and view some of the world’s top attractions — Niagara Falls, the northern lights and Bay of Fundy, just to name a few. Charleston has a reputation for culinary excellence, a rich history, and welcoming locals. It’s an affordable getaway with plenty of sightseeing, shopping, and entertainment options. Whether you choose to travel there for the weekend or spend an entire week, you will never run out of things to do and explore. Pick any month and you will find a festival or special event to attend. Go shopping on King Street year round for items that range from jewelry to cosmetics to antiques. Visit the beautiful parks and gardens, relax on the incredible beaches, and eat some of the most delicious food in the country. 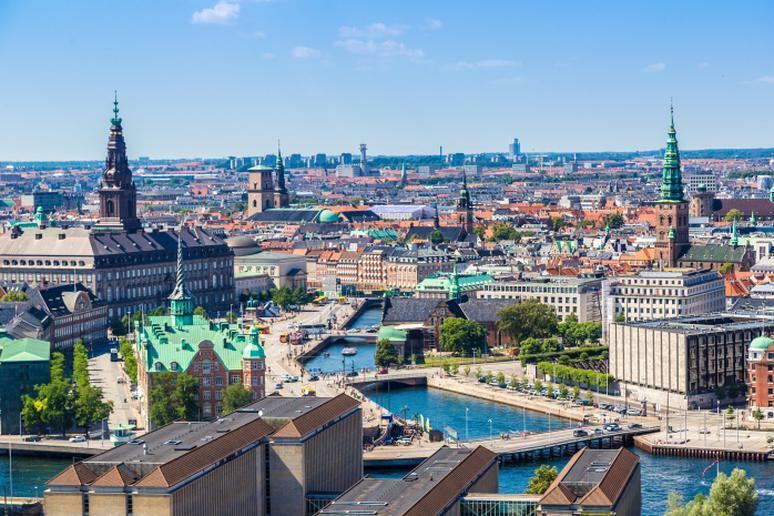 Also known as one of the most eco-friendly cities in the world, Copenhagen is home to an incredible street food scene, an abundance of bike routes, magnificent canal tours and a variety of historical and cultural attractions. Consider visiting during Christmastime when the Tivoli Gardens transforms into a winter wonderland. Beautiful decorations are hung throughout the city, the Christmas markets are booming, and the food is absolutely delicious. Visitors enjoy relaxing at the beautiful beaches, exploring the spectacular jungles and admiring the beautiful national parks. Zip lining, whitewater rafting, surfing, hiking, cliff jumping, and skydiving are a few thrilling adventures you have the opportunity to experience. 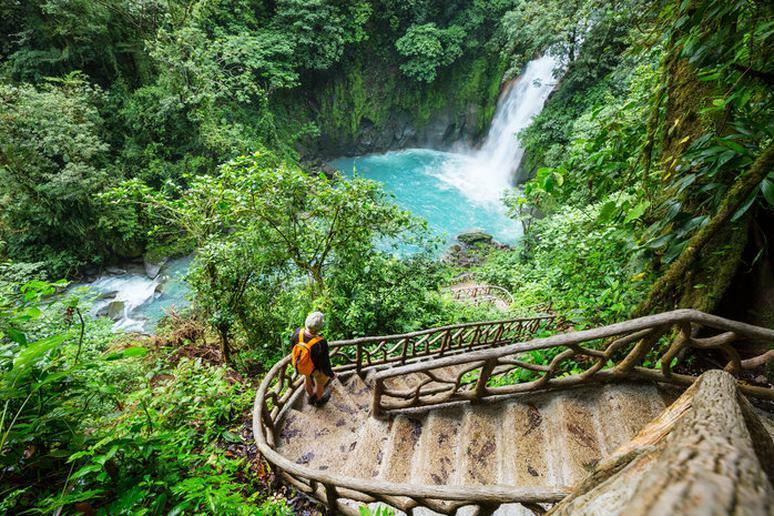 To get the most out of your trip, visit Pacific Trade Winds and work with a planning expert to customize your very own trip to Costa Rica. Dakar, the capital of Senegal, is famously known for its stunning beaches, musical entertainment, lavish hotel resorts and art scene. Visitors will find the city is more accessible then ever before due to its new $600 million airport. Take a trip to Les Mamelles for spectacular views, learn about the history of the colonial slave trade after a short ferry ride to Goree Island and take pictures of the pink lake at Lac Rose. 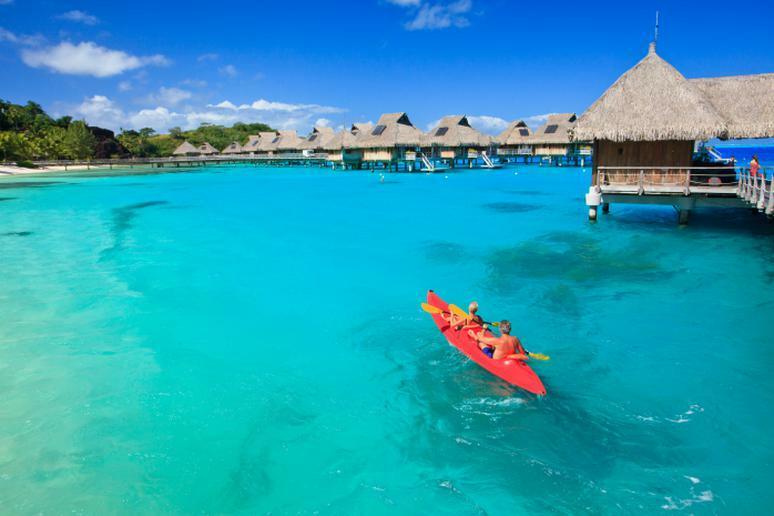 If you’re looking for a tropical getaway, look no further than French Polynesia. 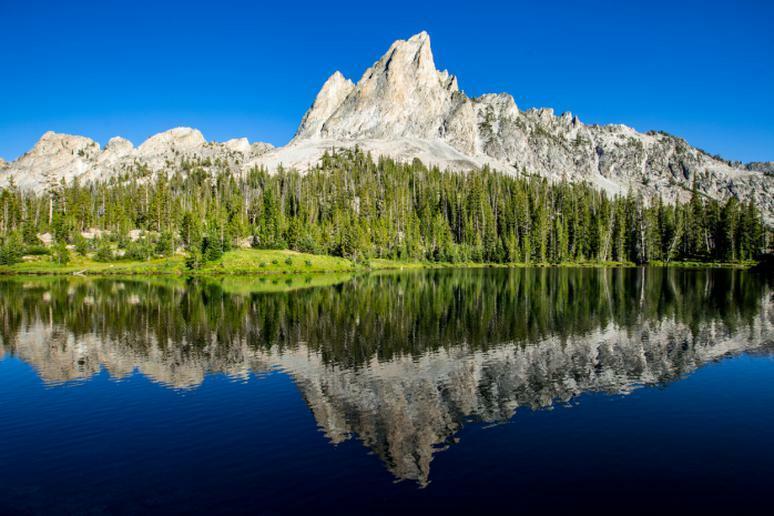 A trip there is filled with stunning scenery and an abundance of outdoor recreational opportunities. 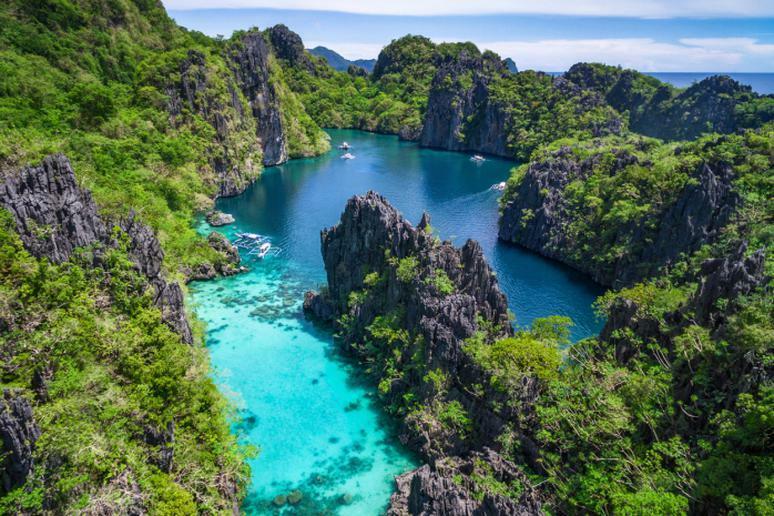 With 118 islands and some of the best diving in the world, you will never run out of things to do and explore. Stay in a thermal glass igloo for the ultimate vacation getaway. 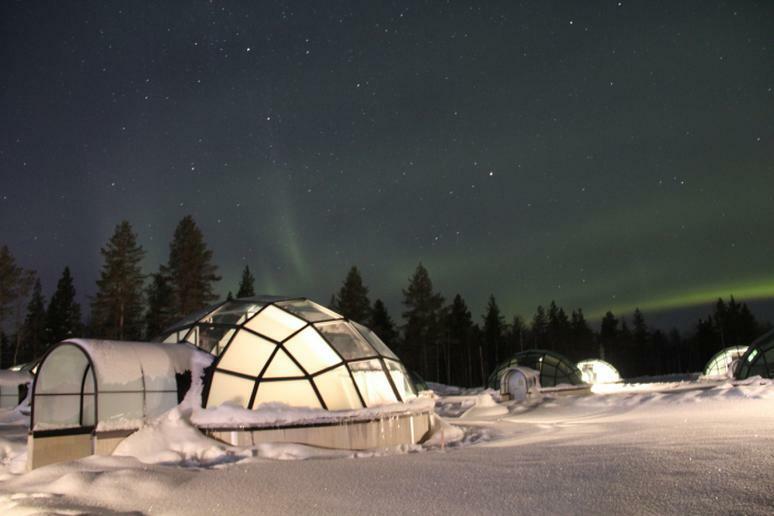 The Glass Igloo Village Hotels offer a clear view of the northern lights right from your own private igloo! Enjoy a cozy and peaceful night while staring off at the beautiful scenery. Also enjoy the village’s smoke sauna and ice bar. 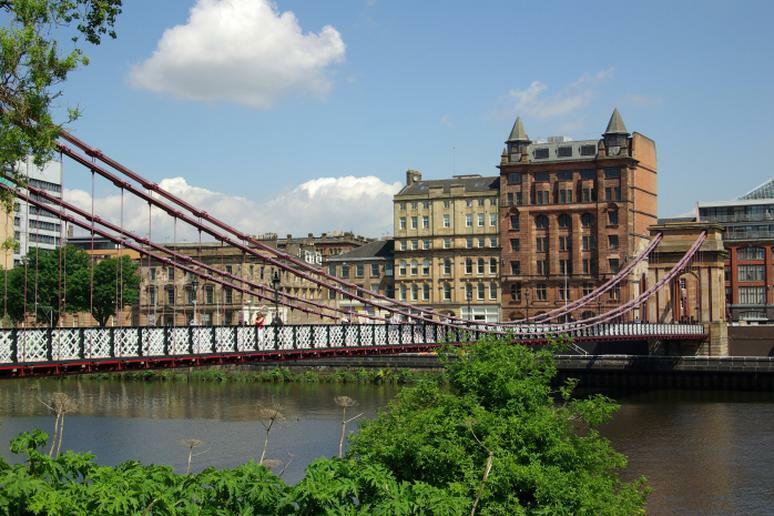 Known as one of the world’s friendliest cities, Glasgow is not to be overlooked. Scotland’s largest city offers something for everyone — world-class attractions, gorgeous architecture and a legendary music scene. The city was the first in the U.K. to be designated a UNESCO City of Music. History lovers will enjoy viewing the Gothic architecture at Glasgow Cathedral and walking along the Italian Carrara marble staircase at the City Chambers. 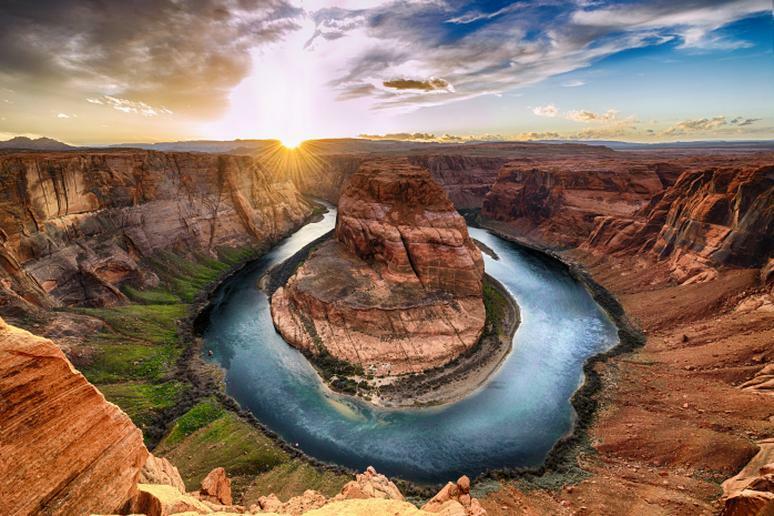 Visit the Grand Canyon with your family for the ultimate adventure vacation. Go on a hike, take a guided bike tour, or try a helicopter tour of the Grand Canyon. When you get tired, visit the Grand Canyon IMAX Theatre, then head to the Havasupai Falls and take pictures in front of the beautiful waterfalls. In the winter, try cross-country skiing or snowshoeing. Tip: If you have younger children, go on a nature walk or bird watching. “Greece offers the Mediterranean lifestyle at its best. There are so many islands to visit in Greece depending on what you are looking for in a vacation. Especially Mykonos and Santorini will take your breath away,” Ozgum says. “I also love Crete! 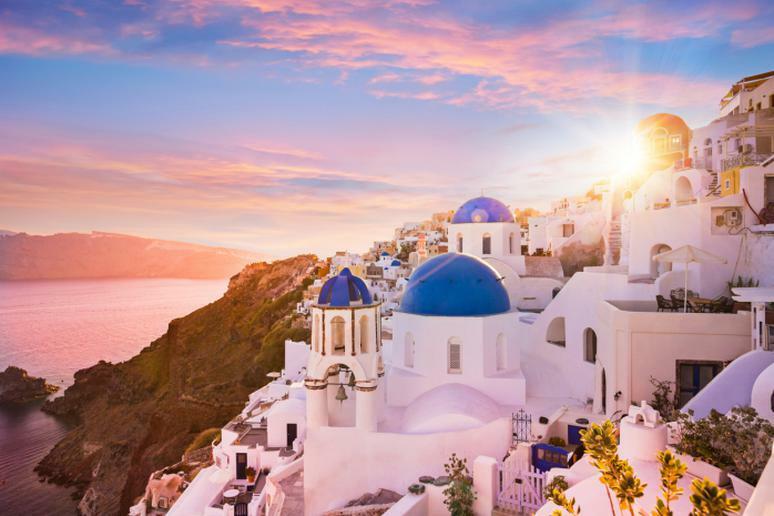 Santorini is my favorite for photos, Mykonos is great for partying it up and also for relaxing, and Crete is full of great experiences and beaches.” Wherever you choose to vacation you will be awestruck by the blue and white buildings and clear blue ocean as far as the eye can see. Visit the ultimate paradise with your family in Hawaii's state capitol. Try a new water sport by going scuba diving or snorkeling. Have some fun in the sun at Waikiki Beach, take pictures by the beautiful Manoa Falls and walk the Makapuu Lighthouse Trail. 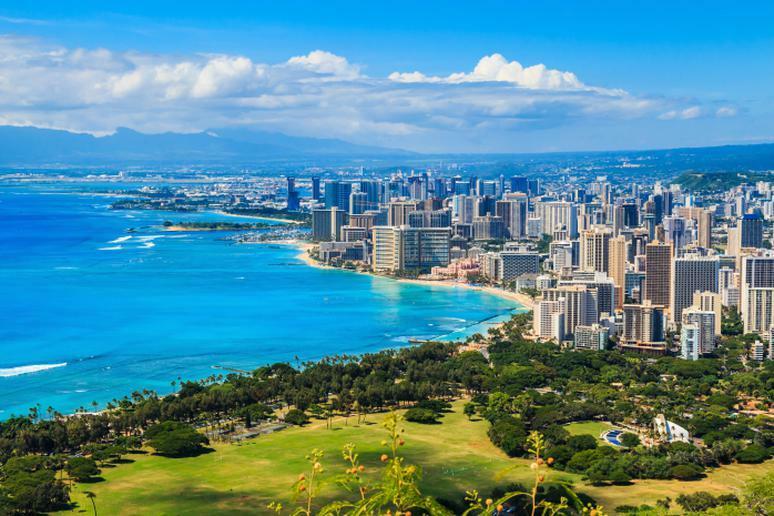 Then take a private tour, visit the Hanauma Bay Nature Preserve and learn more about history at the Battleship Missouri Memorial, the Diamond Head State Monument and the Honolulu Museum of Art. The ultimate arctic paradise, Iceland is home to unique glaciers, incredible waterfalls, gorgeous black sand beaches, exciting music festivals and the spectacular northern lights. Iceland’s Great Geysir — a spouting hot spring — is one of the most visited attractions. While you’re there also make sure to explore the Krafla Lava Fields, Gullfoss Falls, Vik Beach and Slifra Canyon. 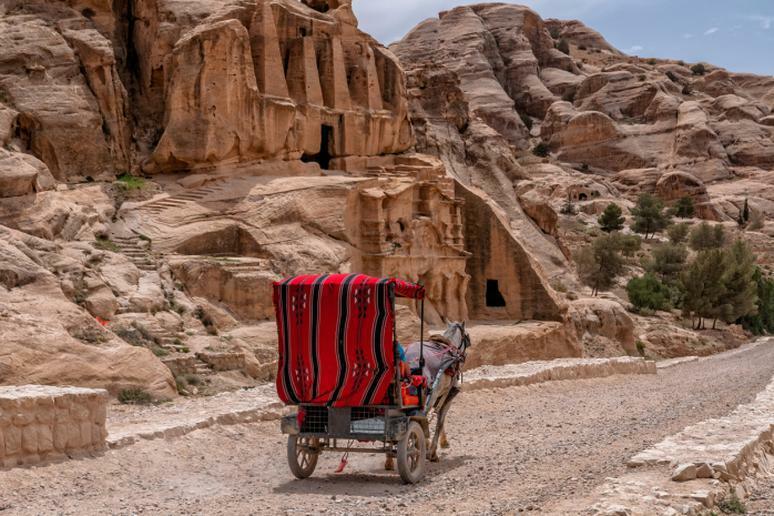 “When travelers dream of Jordan, Petra usually comes to mind first — and, yes, this meticulously preserved ancient city is worth a visit in itself. But don't stop there: Jordan also boasts national hiking and biking trails from olive groves in the north to the wild southern desert, a capital city bursting with modern cafés and Roman ruins, luxury Dead Sea resorts, and even world-class scuba diving from Aqaba on the Red Sea,” McCarty says. Embark on adventures, soak up the sun on some of the best beaches in Florida, or simply relax at a spa — all in Key West. Many people enjoy going during the winter months, as the average high temperatures are around 75 degrees F, and average lows are around 70 degrees F. Take full advantage of the watersport opportunities; go scuba diving with living coral, snorkeling among vibrant marine species, and kayaking on calm waters. Las Vegas is, simply put, an adult playground. 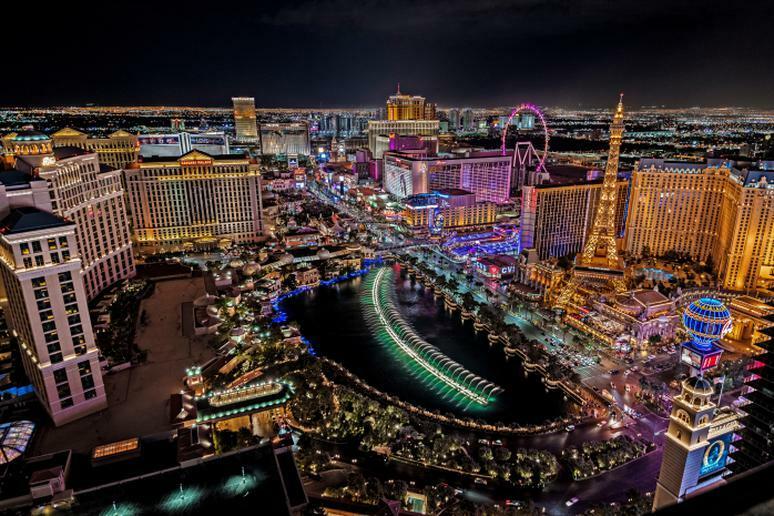 Visitors from all over the world come to this city in Nevada for its history, party scene and adrenaline-inducing attractions. Although gambling may be the reason most people visit, the thrilling adventures are not to be overlooked. The Stratosphere Hotel is a prime location for visitors looking for adrenaline-pumping adventures. Some of their thrilling rides include the SkyJump, Big Shot, Insanity and X-Scream. While you’re there, also make sure to watch the free show at Circus Circus hotel-casino, visit the Bellagio’s Conservatory of Botanical Gardens and admire the Bellagio Fountains. 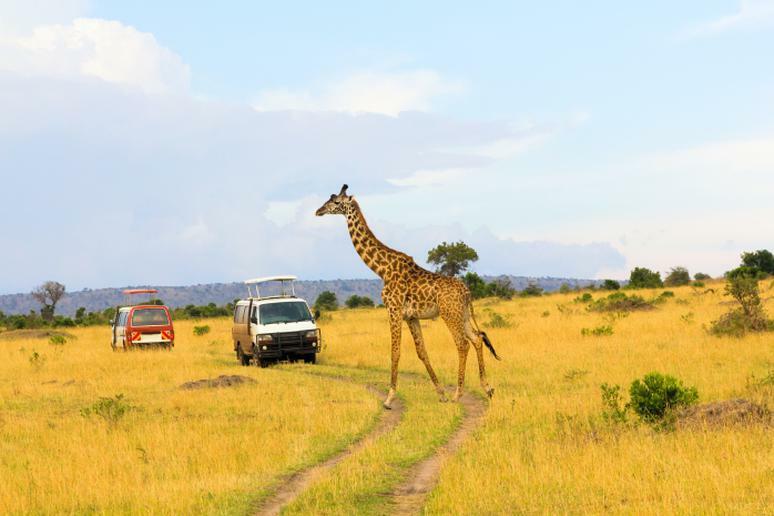 Known as one of the best national parks in Kenya, Maasai Mara offers wide range of safaris — hot air balloons, walking, photography and more. The reserve, along with the Serengeti National Park in Tanzania, forms Africa’s most diverse eco-system. The best time to visit is between July and October because of the wildebeest migration, famous as one of the “Seven New Wonders of the World” and also known as the “World Cup of Wildlife.” You can witness it during a special safari, of course. Even if you go off season, the number of animals you’ll see — from zebras and giraffes to lions, elephants and leopards — is incredible. 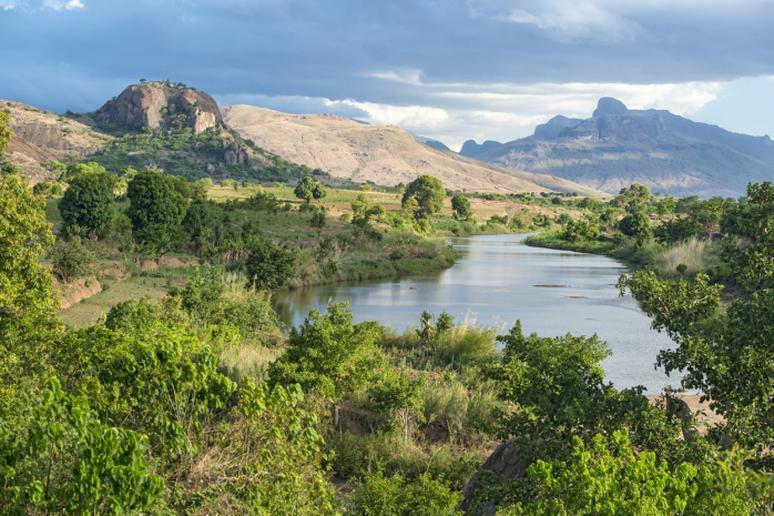 Almost 90 percent of Madagascar's wildlife and fauna are endemic only to the island nation, meaning that you won't see it anywhere else in the world. Track lemurs through rain forests and know that the money you spend at the national and community parks goes toward conservation and protection. While you’re there make sure to visit the Avenue of the Baobabs, Mantadia National Park, Nosy Sakatia and Tsingy Rouge Park. Maui’s pleasant year-round climate, laid-back atmosphere and stunning beaches are usually enough to attract those who are looking for an escape. But what many people fail to realize is that this island in Hawaii is also home to extreme adventure. 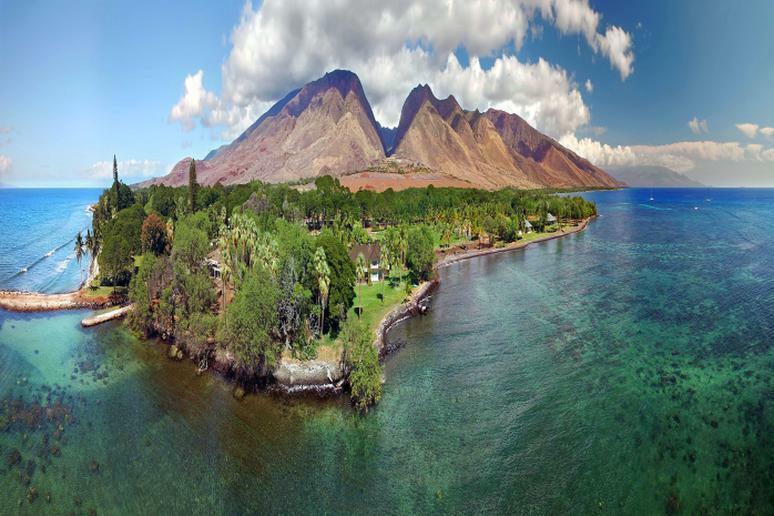 Go snorkeling and scuba diving to experience underwater topography like you have never seen it before; bike down a volcano and capture views at the summit of Haleakala; take a road trip on the Road to Hana, go zip lining, surfing or rappelling and explore the lava fields. 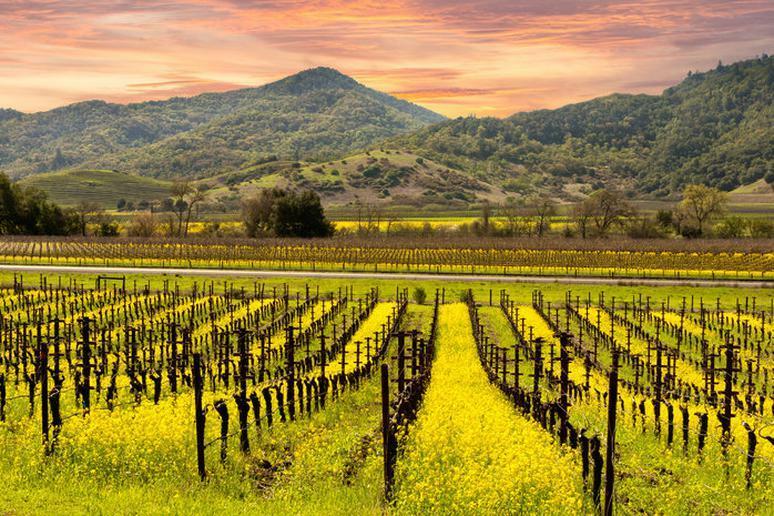 This well-known destination for wine lovers suffered from traumatic wildfires last year. The county north of San Francisco didn’t let this stop them. In 2019 you will find brand new wineries, such as Ashes & Diamonds; Compline, a new wine bar and restaurant; and Laces and Limos, a new way to sightsee. Hotels have also gone through renovations and new luxury hotels have been built. 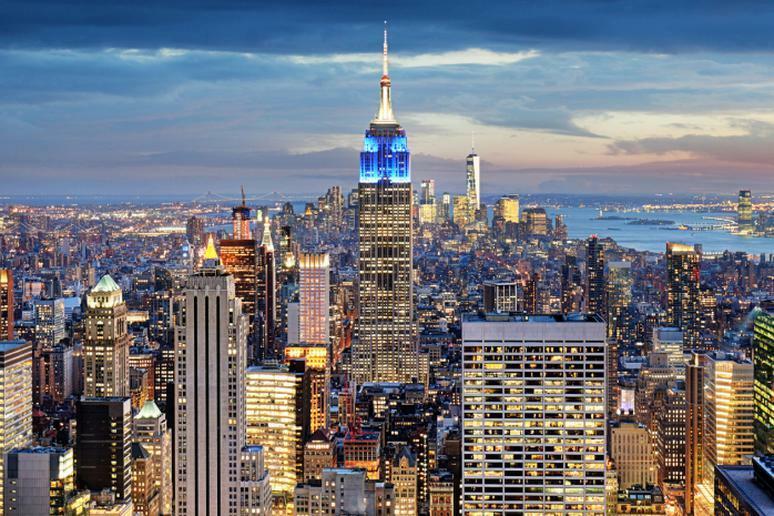 New York City is full of spectacular attractions and a variety of things to do. Take your family to the American Museum of Natural History, go for a walk along the Brooklyn Bridge, spend the day in Central Park, go on some fun rides at Coney Island and climb to the top of the Empire State Building for a stunning view of the entire city. If you’re looking for cool museums, check out the Intrepid Sea, Air & Space Museum, the Museum of Modern Art, the Metropolitan Museum of Art and the Museum of Mathematics. 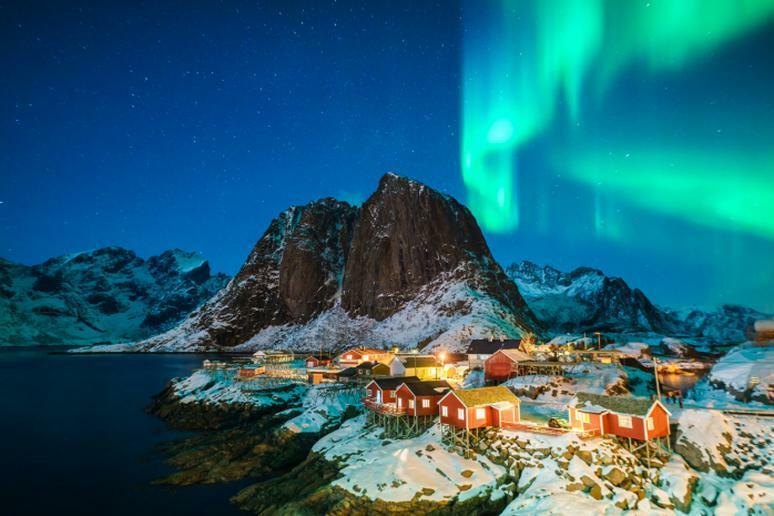 Visit Finnmark for spectacular views of the northern lights and join others in the world’s first northern lights observatory. Go skiing, dog sledding and ice fishing right under the stunning aurora. 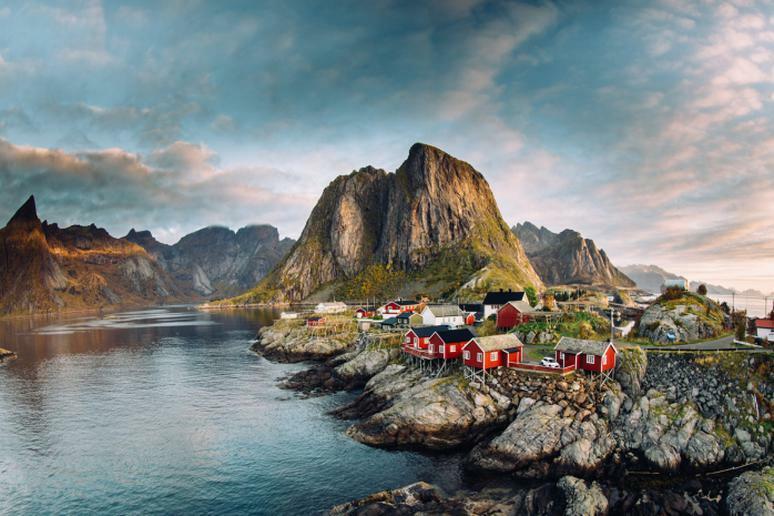 Also, visit the city of Tromso or head to Kirkenes for some of the best views. 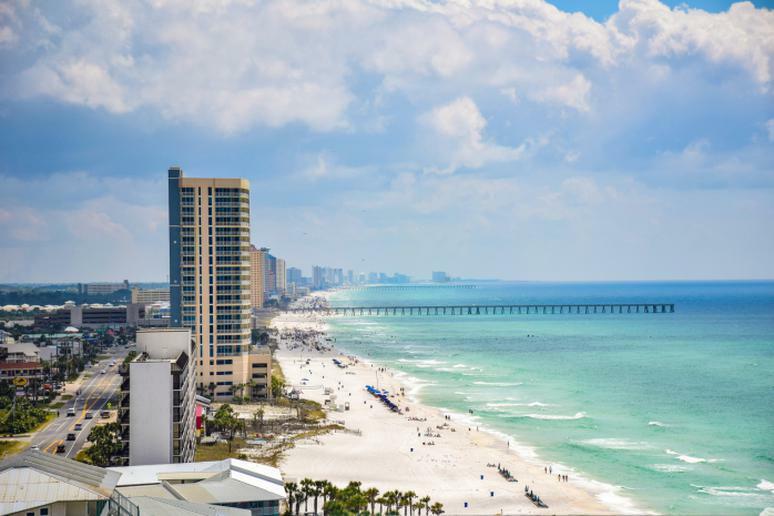 With 27 miles of beautiful beaches, family adventures and adrenaline-pumping opportunities, it’s no surprise Panama City Beach made the list of top destinations for 2019. This year you can look forward to the opening of the Panama City Beach Sports Complex. This $37 million world-class sports complex will allow visitors to enjoy multiple athletic pastimes — lacrosse, football, rugby, soccer and baseball, to name a few. Music lovers, make sure to book your flight in the spring. The PCB Mardi Gras and Music Festival is taking place March 1 and 2, and the SandJam Music Festival will be held from April 26 to 28. If you are looking for adventure, look no further than Peru’s Sacred Valley. Take a risk and go rock climbing, horseback riding, zip lining and surfing. Take one of the Sacred Valley tours; go see the historical Pisac Ruins and Ollantaytambo Ruins. Bring your camera to The Salinas, as you will grasp sight of the whole Cuzco area. 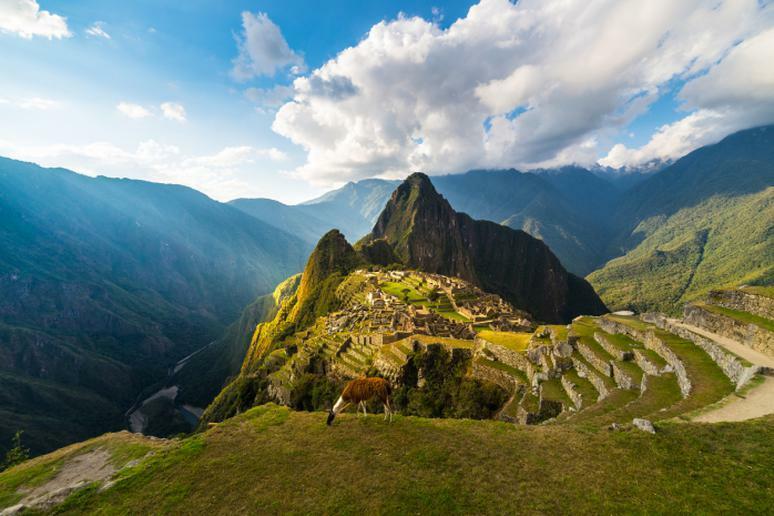 Then go hiking on the Classic Inca Trail and trek to Machu Picchu. Visit the Inca Bridge and the Paucarcancha Ruins. 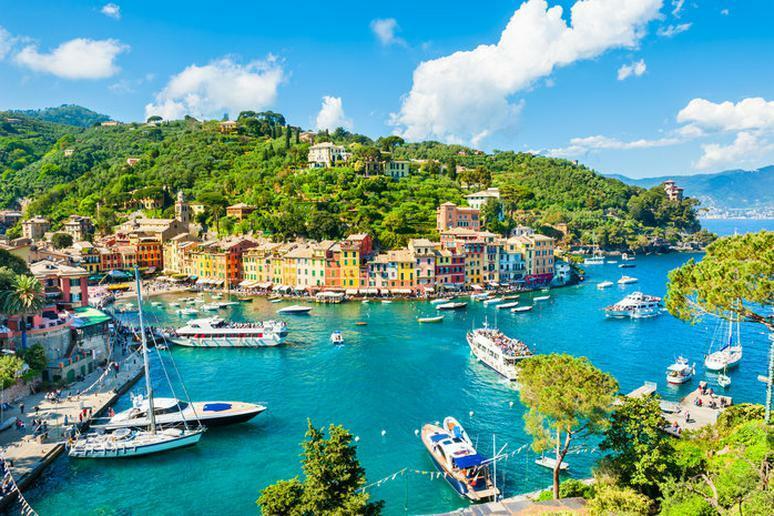 Portofino, Italy, is full of fun things to do and see. Explore Portofino on a taxi boat, visit Castello Brown, the Faro di Portofino and Area Marina Protetta Portofino. Go for a stroll down the cobblestone streets and shop in the small shops, and when you get tired, grab a bite to eat in one of the many cafes. 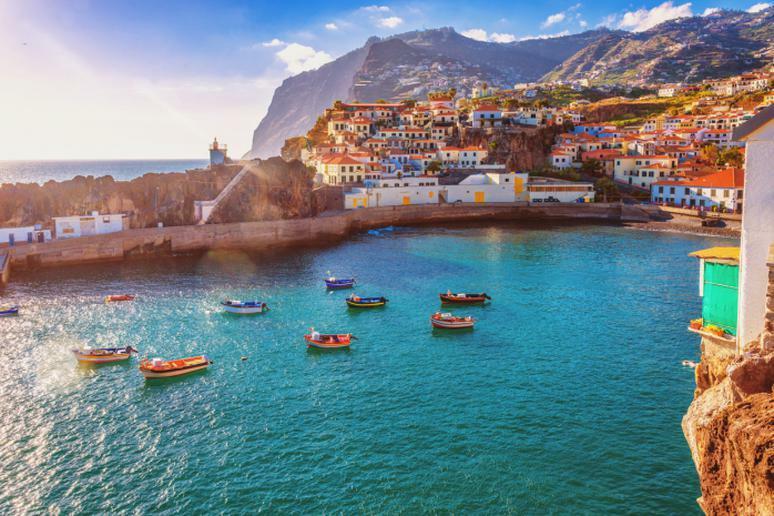 If you’re considering Europe as your next vacation destination, don’t overlook Portugal. 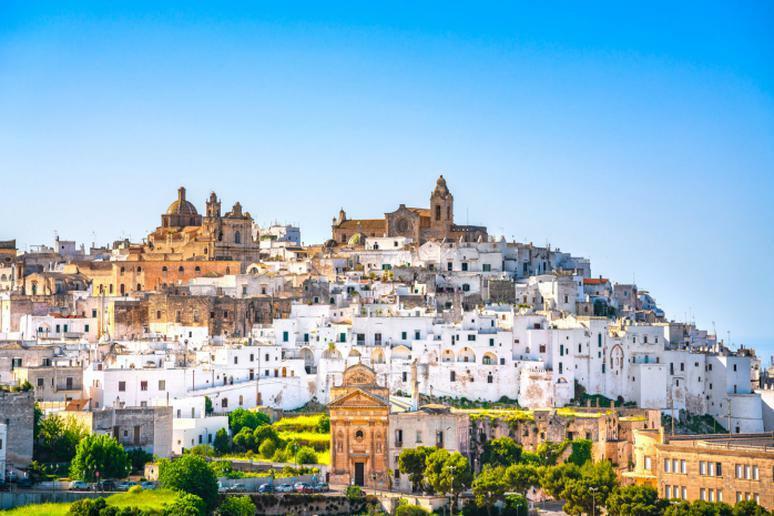 Gorgeous scenery, year-round amazing weather, ancient sites and incredible landscapes are just some of the many things you have to look forward too. 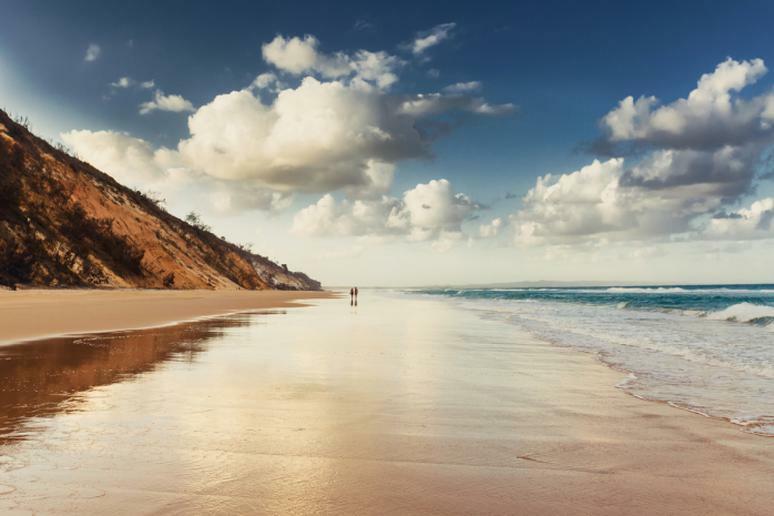 If you’re looking to both relax and have some adrenaline-pumping fun plan a trip to Algarve — one of the most popular tourist destinations in Portugal. 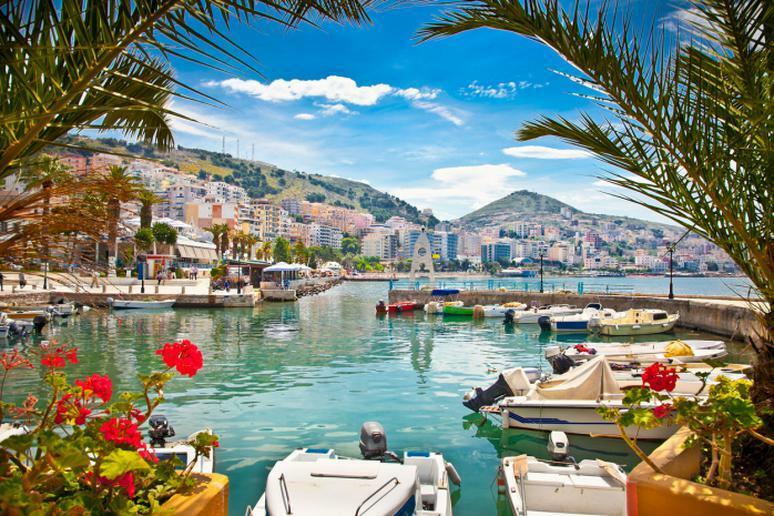 There you will enjoy a variety of golden beaches, picturesque cliffs and incredible shopping. Adrenaline seekers can take up a new water sport, hop on a sea cave tour or take their chances on one of the world’s scariest cliff dives. 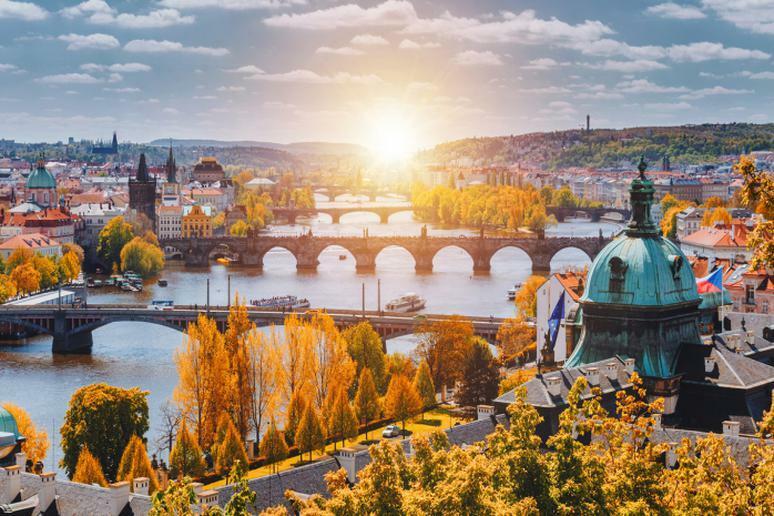 Fairytale castles, unique architecture and incredible culture are just some of the many things you have to look forward to in Prague. Enjoy the street music in Old Town Square and view incredible statues, beautiful bridges and tall buildings. Make sure you visit Prague’s National Museum and the Mucha Museum. Located in Queensland, Australia, Rainbow Beach gets its name from its rainbow-colored sand dunes that overlook a gorgeous white sand beach. While you are there, make sure you visit the adjacent Great Sandy National Park for some outdoor adventures. 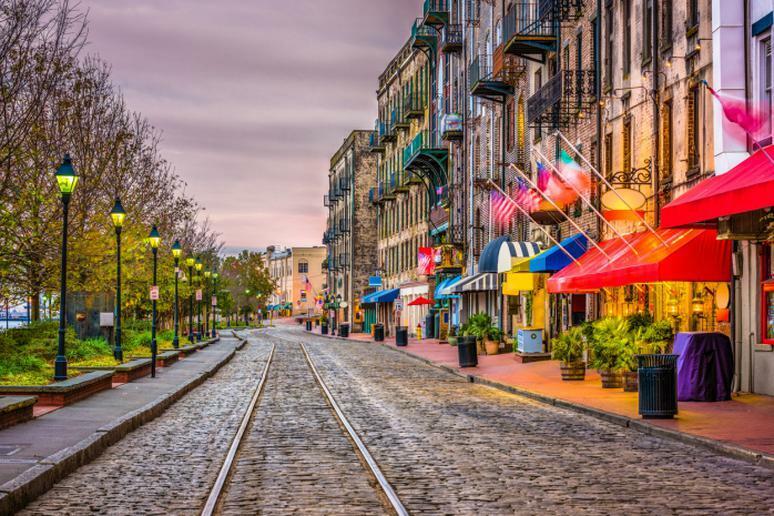 If you’re looking for a romantic getaway with your loved one but you’re on a budget, look no further than Savannah. It offers budget-friendly room rates and a wide variety of free activities to participate in. 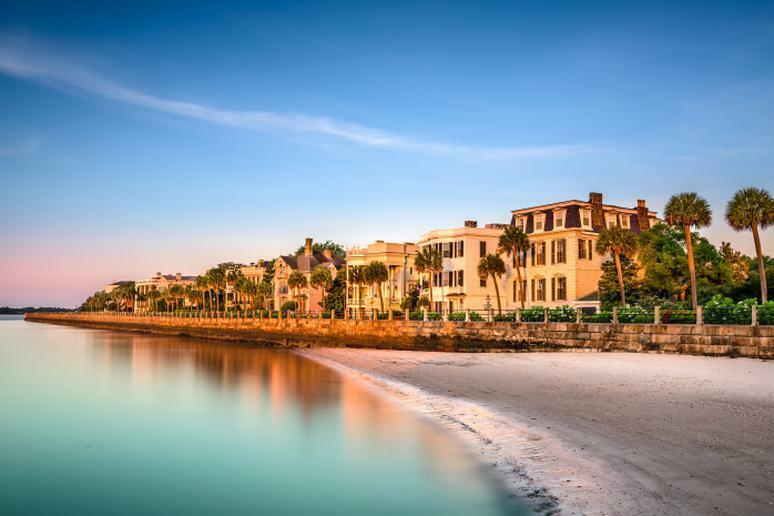 Go sightseeing in Forsyth Park, relax at Tybee Island Beach, take a leisurely stroll through City Market and hop on a ferry ride to view the beautiful historic district. Shanghai is the biggest city in China, and also the most romantic. Explore the historical landmarks, get a taste of regional culture and go shopping in the various shopping areas; some of the best streets for shopping include Huaihai Road and Nanjing Road. 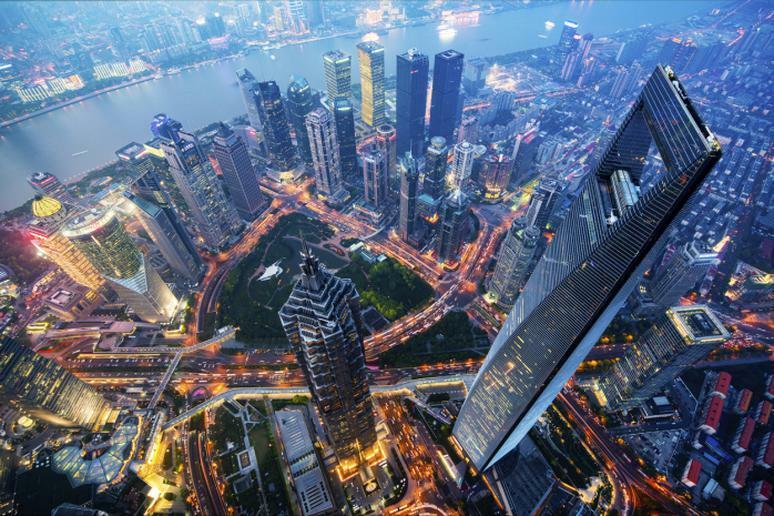 But before you leave, make sure you visit the Shanghai World Financial Center. It is one of the many icons in Shanghai’s skyline; go up to the top and view the city from above. 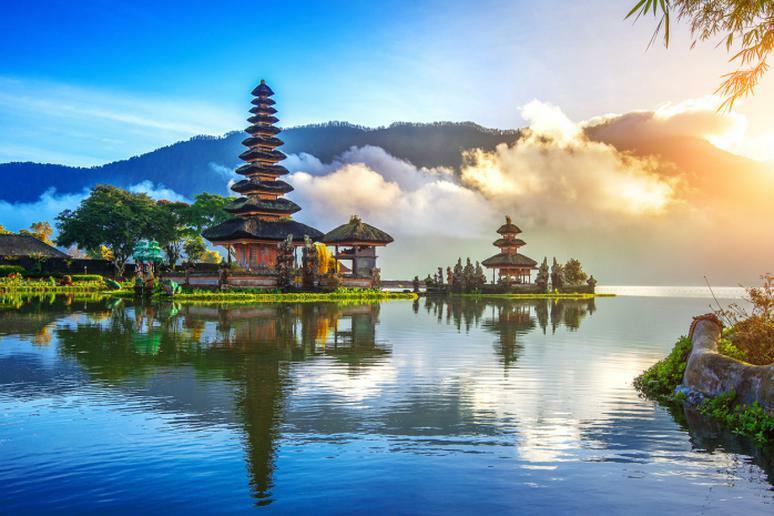 Singapore has had an increasingly large number of travel searches since the premiere of the film “Crazy Rich Asians.” According to The Wrap, “Inquiries spiked 20 percent in the week after the movie’s premiere.” You’re not a fan of the movie? 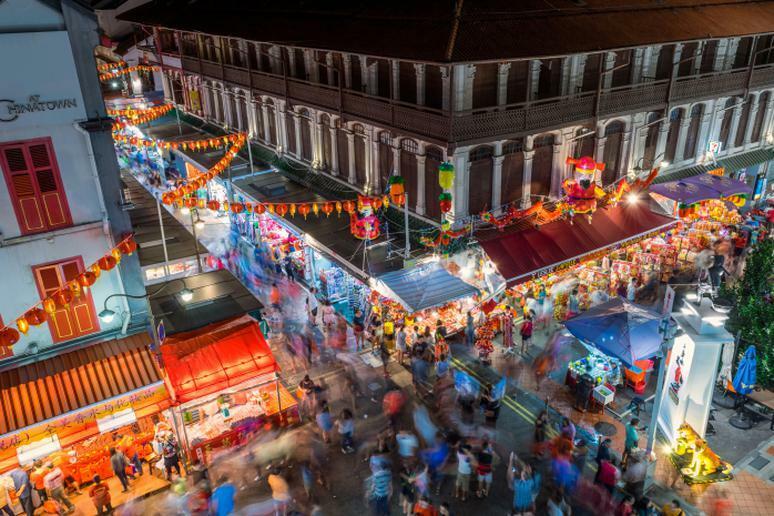 This island city-state is still a must-visit destination. 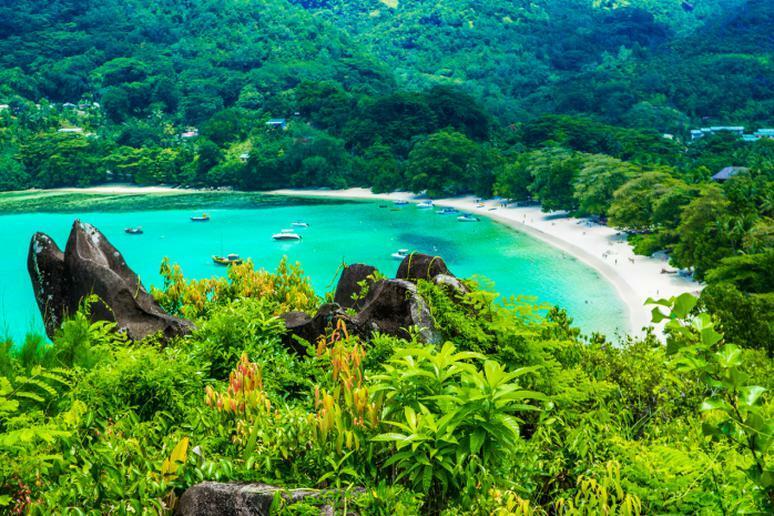 It’s a hidden adventure gem in Asia, spiked with thrilling adventure opportunities. 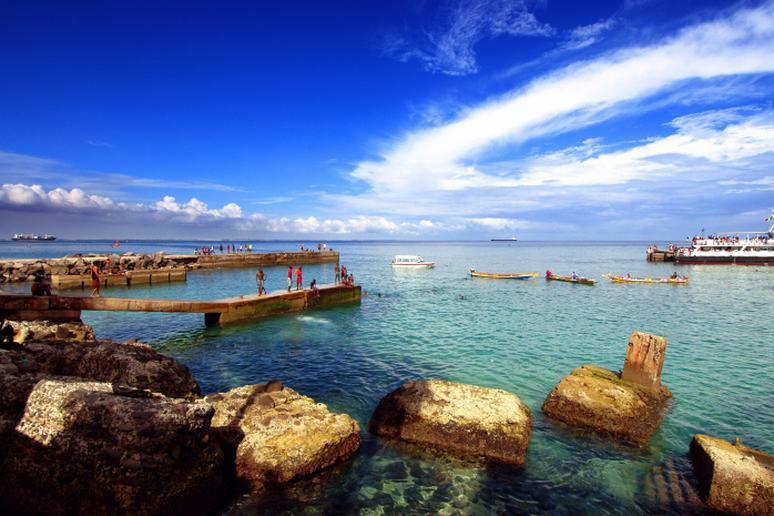 Visitors can experience snorkeling over colorful coral reefs, ziplining over a reservoir, embarking on night safaris, indoor surfing and skydiving. Home to one of the most secluded beaches in the world — Colombier Beach — this Caribbean island will take your breath away. 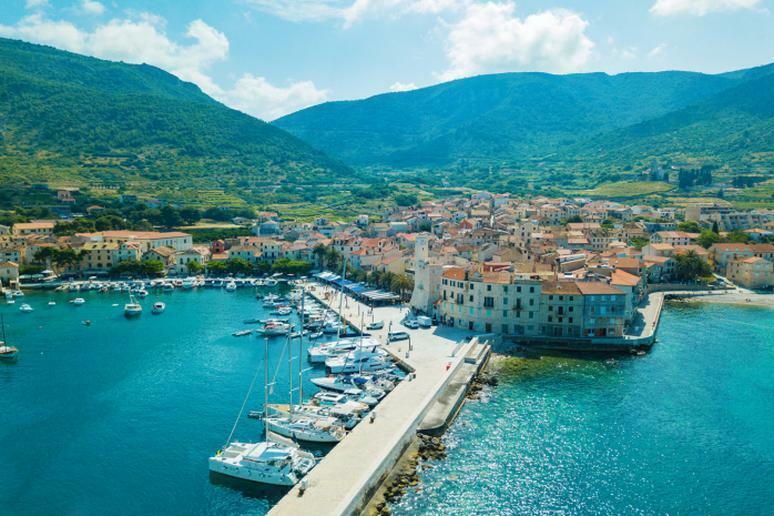 Frequently visited by celebrities and yacht lovers, this luxurious vacation destination features high-end hotels and clubs. The best time to visit is from May to June, when the weather is absolute perfection — warm temperatures and clear skies. 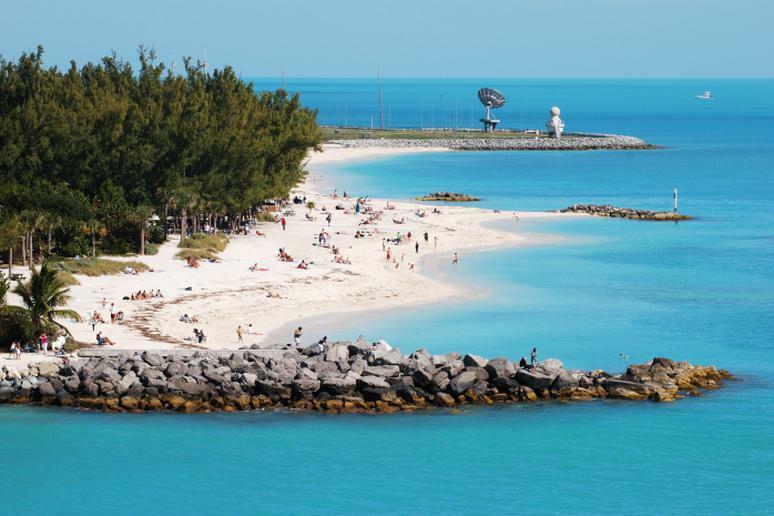 The Bahamas features some of the most stunning white sand beaches. It’s home to one of the largest outdoor marine habitats in the world with more than 50,000 aquatic animals and 250 species. Head to Big Major Cay and swim with the pigs, go snorkeling and scuba diving among a variety of marine life, party the night away on Paradise Island and learn about history at Fort Charlotte. 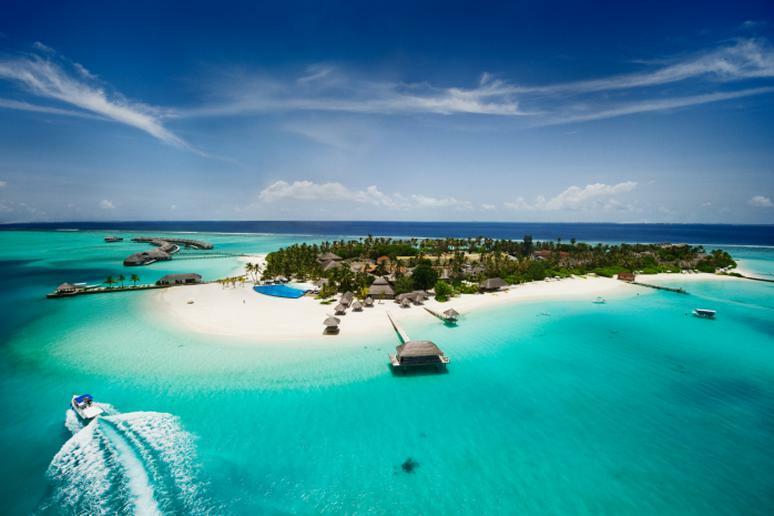 This collection of 115 islands in the Indian Ocean off East Africa has become a prime location for newlyweds because of stunning beaches and nice weather. 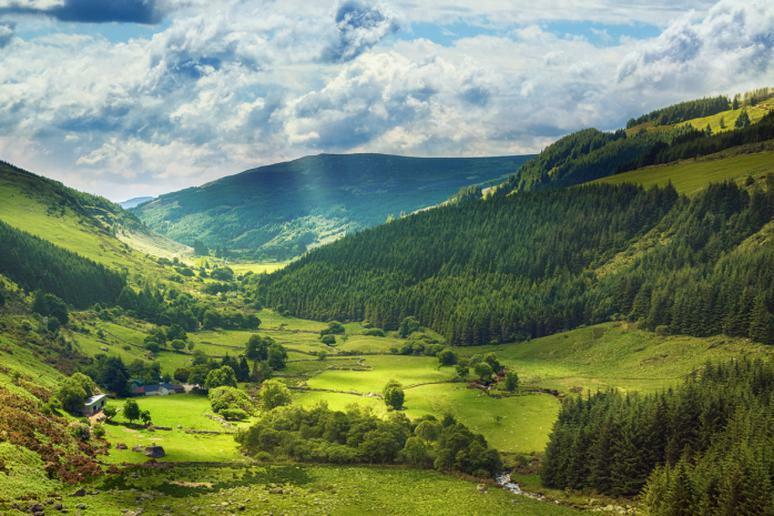 But the country has a lot more to offer. It’s not only an ideal romantic destination. 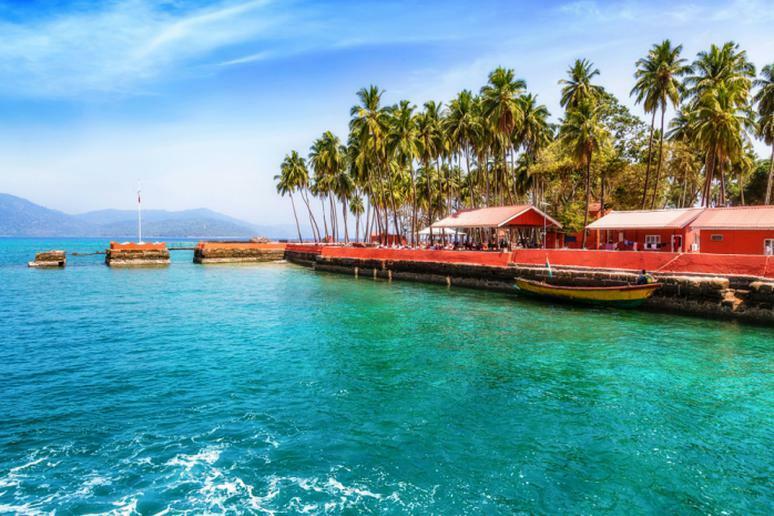 The more adventurous travelers will enjoy the jungle, walks along the coastline, boat excursions and glass-bottom boating as well as diving and snorkeling. Guided nature tours are offered for explorers who would like to see some of the rarest species of flora and fauna on the planet. The Seychelles is also one of the best places to try Creole cuisine. 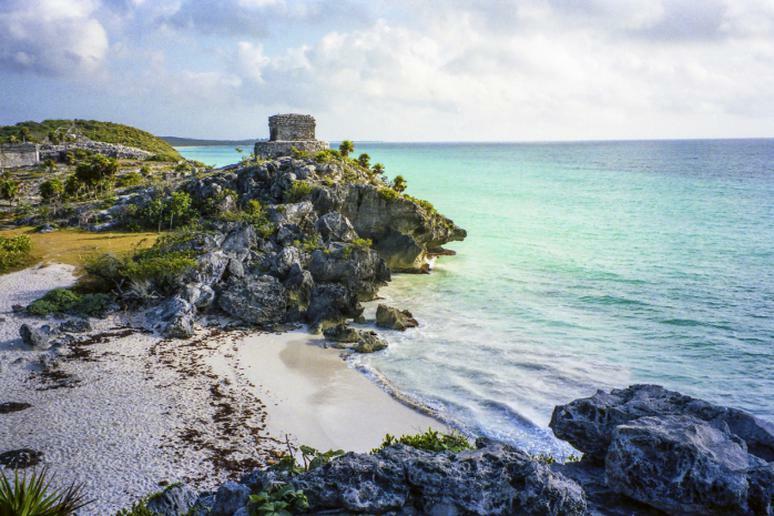 “Tulum is one of those vacation spots where magic is all around. I call it Mayan magic. I love Tulum's eco-friendly architecture. It's simple, artistic & luxurious at the same time,” Ozgum says. “When you combine the vivid blue water of cenotes and beaches as well, there is no other way but to fall in love.” The food is also delicious, and the locals are friendly. What else would you need on a vacation? From flea markets to delicious foods, incredible beaches and stunning street art, you will hardly ever run out of things to do and places to explore. 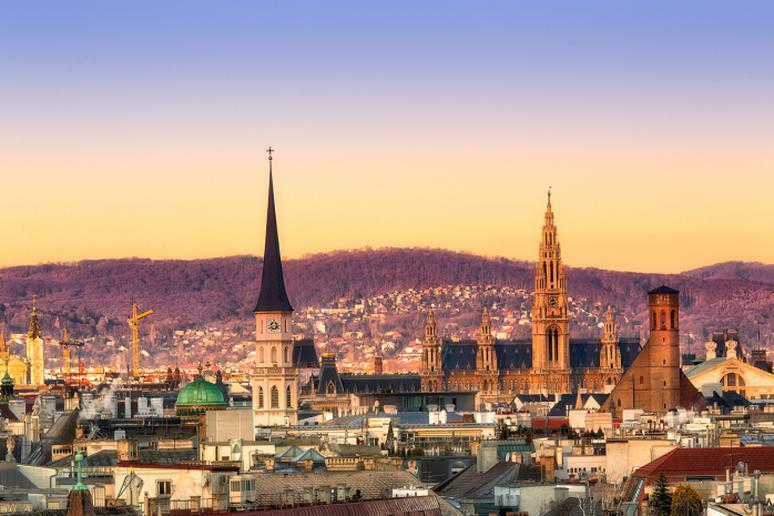 Visit the Tiergarten, the oldest zoo in the world; enter the chocolate emporium, Xocolat, and watch chocolatiers at work; and ride Vienna’s giant Ferris wheel, the Riesenrad, for a spectacular view of the city. When travelers dream of New York, the city of bright lights and crowds of people usually come to mind. While that may be a dream vacation for some, others will be pleased to know that a quick drive two hours north can easily take them to a place of relaxation and rejuvenation, as well as adrenaline pumping fun. 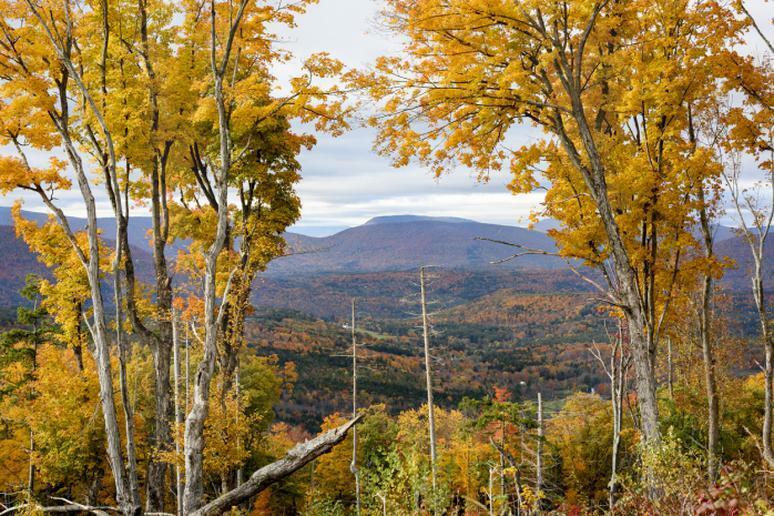 Windham, a town located in the Catskill Mountains, is frequently visited by wine enthusiasts and adventure lovers. The Eastwind Hotel & Bar offers its guests the best of both worlds; a cozy hideaway with spectacular views of Windham Mountain and an abundance of outdoor activities. 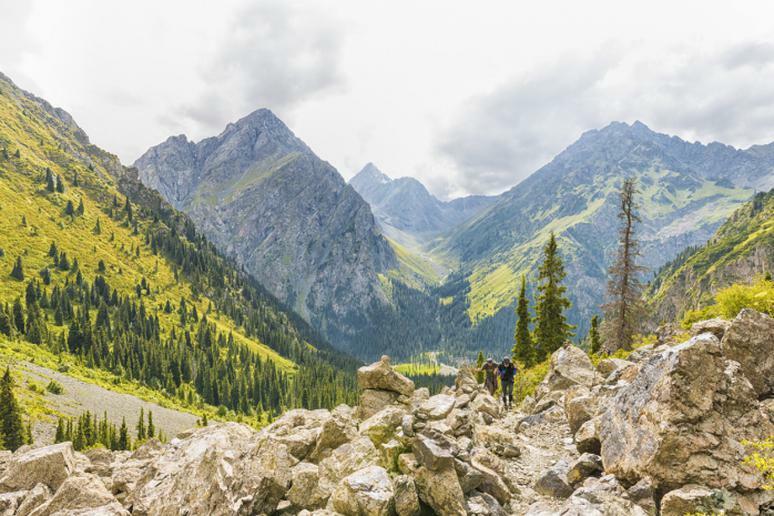 There you will receive free gear — bikes, hiking backpacks and binoculars — to explore the area, complimentary snowshoes to enjoy at nearby trails, access to nearby skiing and snowboarding and guided foraging walks to enjoy the incredible natural landscapes around you.